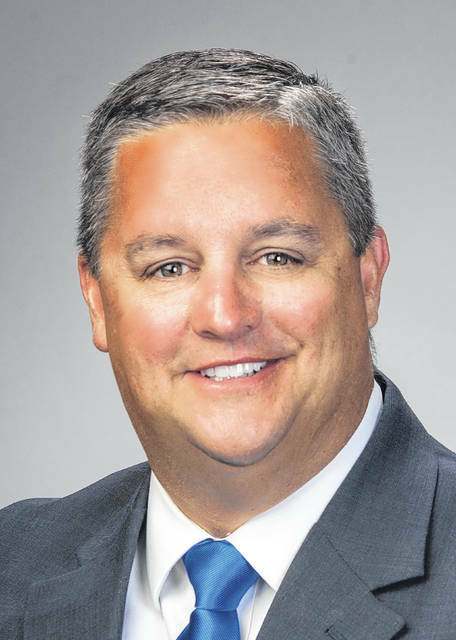 The first bill introduced by 91st District Rep. Shane Wilkin has been approved by the Ohio House, paving the way for counties like Pike to weather costly capital murder cases. House Bill 85, sponsored by Wilkin and Rep. John Rogers, establishes a framework for providing state funding to counties conducting capital case trials where there are multiple victims or defendants, according to a press release from the County Commissioners Association of Ohio. As a former Highland County commissioner, Wilkin said he is aware of the costs associated with capital cases that counties must absorb. Now, as the representative of a district that includes Pike County, where four people are charged with capital murder in the deaths of eight members of the Rhoden family, Wilkin said he felt the need to aid Pike and other counties faced with costly cases. The state rep said the lowest estimate from the Ohio attorney general and public defender offices for the Rhoden case is $4 million. “We can’t expect a county that’s operating on a general fund budget of $10 million to take a case like this,” he said. Reimbursement funds available from the state aren’t enough to cover the cost either, according to Wilkin, and even if they did, a county like Pike may not be able to wait long enough for the funds to come in. “You’ve got a county sitting there waiting on a reimbursement and you’ve got attorneys sending you bills,” he said. According to Wilkin, HB 85 includes parameters that make it available only to counties where the ratio of cost to available funds is extreme. For a county to apply for funding, the case must involve multiple victims or multiple defendants, and the estimated cost of the trial must be more than 5 percent of the general fund budget the year in which the arrests are made, Wilkin said. If those criteria apply, counties can request funding assistance from the attorney general and public defender offices. If the offices agree with the estimate, they submit a request to the state controlling board and the controlling board chooses to approve or deny the application. In the CCAO news release, the association applauded the house for approving the bill. “This much-needed legislation helps ensure that justice is served while protecting counties from heavy financial burdens incurred through no fault of their own,” said CCAO President Julie Ehemann.